Don't forget to book your hotel! European ports are agile and resilient. Port managing bodies are at the same time dynamic, commercial developers and stewards of economic, sustainable and social growth for the wider port community. They have increased responsibility to stay ahead of upcoming developments and address the challenges. European ports are agile and resilient. Adapting to a new world is imperative. But for many ports that is not enough. As hubs of transport, energy, industry and blue economy, they want to - or are asked to - play a more active role. They can be the ideal matchmaker between all stakeholders in the port ecosystem. In five subsequent sessions, speakers and audience will be exploring different upcoming game changers in more detail and try to find answers to different questions: what are the new technologies? Who are the new players? How to prepare for a new trade and geopolitical environment? What is the future of work in the port sector? And what can be expected from the new port? What does the port need to be able to play its role? What about policy? What should we expect from the new Commission and Parliament? As always, the ESPO conference will feature a combination of high-level and off-the-beaten-track speakers, combined with different discussion moments and interaction with the audience. Moreover, the ESPO conference is more than just a conference. Also this year we have foreseen different networking moments in the fantastic setting of the Livornese heritage. Imagine discussing the new world and its impact on ports in a beautiful 19th century theatre and, for the Conference Dinner, enjoying the Livornese cuisine with the other delegates in an old medieval Fortress in the middle of the port. For me the days of the port authority simply acting as a superintendent are gone. Ports must engage with port-based industries and operators to influence and assist in the enormous changes that must come about. The ESPO Conference will take place in Livorno on 23 - 24 May at Goldoni Theatre. Silvia MAFFII, Co-founder and managing director of TRT Transporti e Territorio: Presentation of the EC Study "Sustainable Transpot Infrastructure Charging and Internaitonalisation of Transport Externalities"
Fireside chat with Mark WATTS, Coordinator of UK Transport in Europe (UKTiE) about Brexit. Eamonn is a chartered engineer having graduated from University College Dublin and holds an MBA from Trinity College Dublin. Eamonn is a member of Engineers Ireland, and current Chairman of the European Sea Ports Organisation (ESPO) and is a member of the General Stevedoring Council. 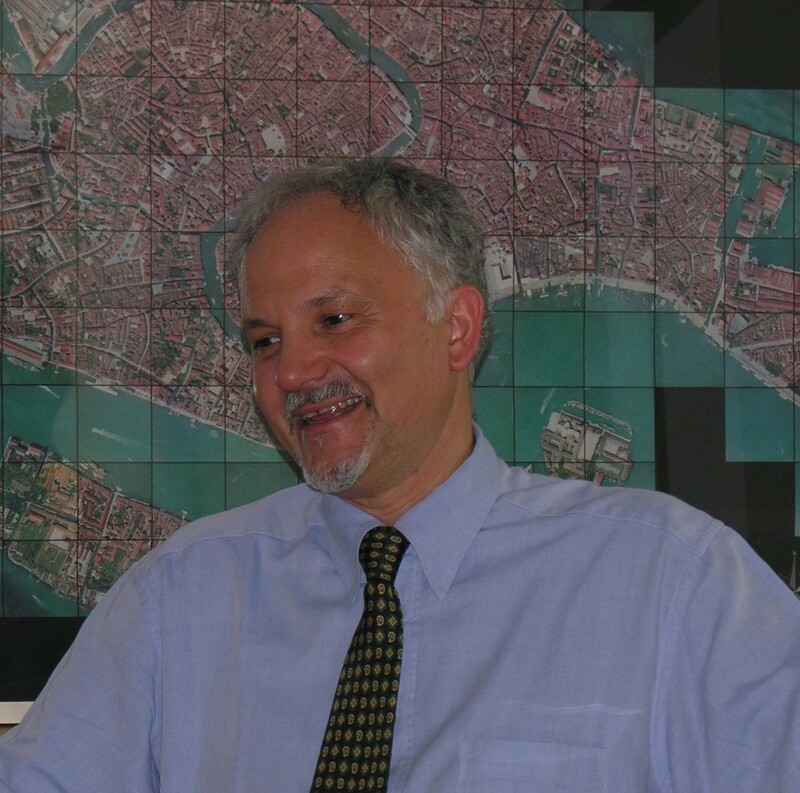 Graduated in hydraulic engineering, Stefano Corsini worked from 1985 to 1996 for ESTRAMED Inc., an engineering company specialized in projects and studies on maritime hydraulic sector. He supervised, as project manager, the activities of the physical modeling related to the hydrodynamic behavior for the project of the Mose floodgates. As manager of the projects and study sector, he developed technical and economic studies for important projects, mainly commissioned by foreign companies, of which he also directed the realization. He conducted research for the Board of Governors of Public Works for which he worked as expert until 2006. He also held seminars at the University of Rome “La Sapienza”, the University of Naples, and “ Il Politecnico” of Milan. From 1996 to 2000 he directed the office of maritime climatology and coastal control and from 2000 to 2003 he also managed the office of the national hydrographic and oceanographic control of the PCM (Premiership) coordinating several agreement with Universities, Research Institutions and Regional Institutions. From 2001 to 2004 he was Chairman of the Board of Governors of ESEAS (European Sea Level Service). From 2003 to 2009 he directed the coastal defence service of APAT, the Agency for the protection of the environment and technical services (nowadays called ISPRA), with competence at national level. From 2004 to 2010 he was member of the Technical Commission of the Arno river basin Authority and of the GLOSS Group of expert of IOC (International Oceanographic Commission) and also of COI (Italian Oceanographic Commission). From 2010 to 2017 he managed the infrastructure and regulation Service of public utility services of the Department of programming and the coordination of economic policy (DIPE) of the PCM, elaborating the texts of more than three hundred deliberations of CIPE, some of which relative to several important port, road and railways infrastructure works, and relative to Mose and many other important projects of the area. From 2010 to 2011 he was Secretary of NARS, a consulting body for the implementation and regulation of the Public utility service and from 2014 to 2016 he was delegate of the Organization of the project finance unit in the field of strategic infrastructure works and evalutation on the investments for Public works. 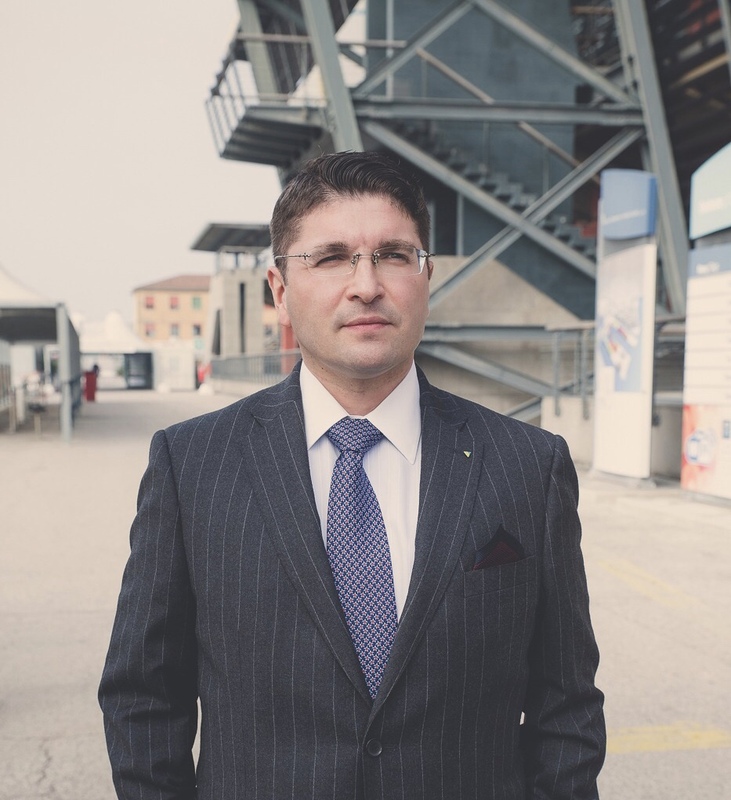 He is the current President of the North Tyrrhenian Sea Ports Authority that includes the ports of Piombino, Livorno and the islands of Elba and Capraia. He took office in 2017. He has participated as speaker to many scientific conferences and he is the author of over seventy writings on specialized magazines, and texts for national and international seminars and conventions. 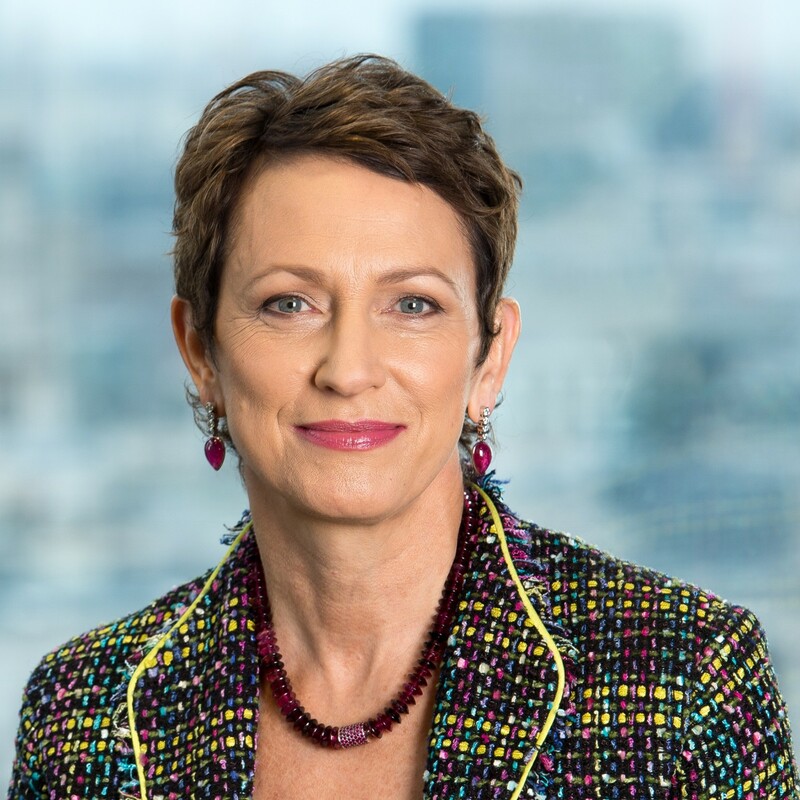 Dame Inga Beale DBE is a British businesswoman and the former CEO of Lloyd’s of London – the 330-year-old insurance and reinsurance market. With over three decades of global experience in financial services she was awarded a Damehood in the 2017 New Year Honours for services to the UK economy and for her contributions to driving the inclusion agenda for women and the LGBT community. During her tenure at Lloyd’s, Dame Inga was responsible for accelerating the modernisation of the insurance market and played a critical role in advancing diversity and inclusion initiatives across the global insurance sector, including the Dive In Festival – the only sector-wide diversity and inclusion festival in the world. Dame Inga was President of the UK Chartered Insurance Institute from 2017–2018, a member of the Geneva Association Board from 2014-2018 and member of the UK Government’s Financial Services Trade and Investment Board from 2015-2018. She is currently Patron of Insuring Women’s Futures, a member of the London First Board, and on the London Mayor’s Business Advisory Board. Her philanthropic interests include being a member of Stonewall’s Development Council, the England Rugby Try for Change Board, and the Pitt Rivers Museum Advisory Board at Oxford University. 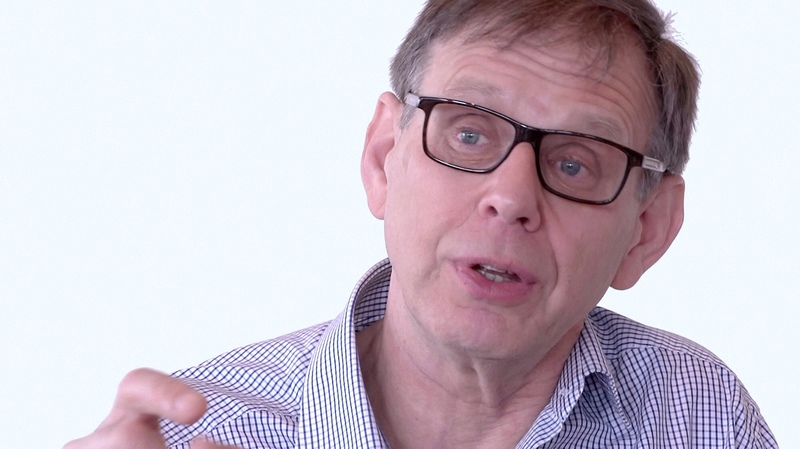 Martin Stopford is a graduate of Oxford University and has a PhD in International Economics from London University. During his 45 years in the Maritime Industry he has held positions as Director of Business Development at British Shipbuilders; Global Shipping Economist with Chase Manhattan Bank N.A. ; Chief Executive of Lloyds Maritime Information Services and executive director of Clarksons PLC. Dr Stopford is non-executive President of Clarkson Research Services Limited (CRSL) and Director of MarEcon Ltd, an e-learning business. He is visiting Professor at Cass Business School, Dalian Maritime University and Newcastle University and has an Honorary Doctorate from Solent University. His publications include “Maritime Economics” 3rd Ed, the widely-used shipping text book (2009), now translated into Japanese, Greek, Portuguese, Turkish and Chinese. Also, many papers on shipping economics and ship finance. Awards: Lloyds List Lifetime Achievement Award 2010; Seatrade Global Shipping Personality of the Year 2013; Onassis Prize for Shipping 2015; Capital Link Shipping Leadership Award 2016. 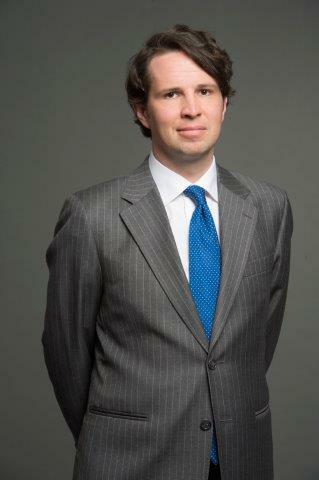 Matt is an Associate Partner in the London office of McKinsey & Company. Since joining the firm in 2012 (in Dubai), he has worked extensively on transformations, strategy, and corporate finance in Europe, the Middle East, and India. Matt primarily serves clients in capital-intensive, operationally complex industries like shipping & ports, mining, and oil & gas. He leads our research on macro trends in the container transport value chain, recently publishing a report with TT Club, “Brave new world? Container transport in 2043,” and a McKinsey white paper, “Container shipping: the next 50 years.” During 2013-14, Matt was the Ian Davis Fellow at the McKinsey Global Institute, our business and economics think tank, where he co-authored reports on the European and Indian economies. He also writes regularly on CFO topics (e.g., working capital transformation, stress-testing for non-financial corporates), is a leader of our Cash and Working Capital service line, and hosts the CFO Forum, an annual get-together of 80+ CFOs. 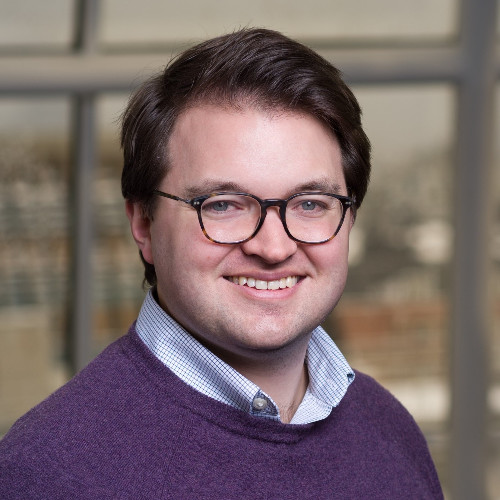 Prior to joining McKinsey, Matt was a strategy analyst at First Solar and energy economist with CMX Caspian & Gulf Consultants. A Marshall Scholar, he holds an MSc in Energy Economics from the University of Dundee and an MSc in Global Governance and Diplomacy from the University of Oxford, St. Antony’s College. Swedish/Danish living in London since 2012 (before that Sweden, Belgium, Italy, UK, Norway, Spain and the Netherlands) with double LLM from Sweden and the UK. My main areas of expertise are marine insurance, maritime law and international trade law. I have worked in-house in the commodities industry and in various positions in the insurance industry since 2005. Focusing on the ports and terminals, freight forwarding and multimodal logistics and container shipping industries since 2013. 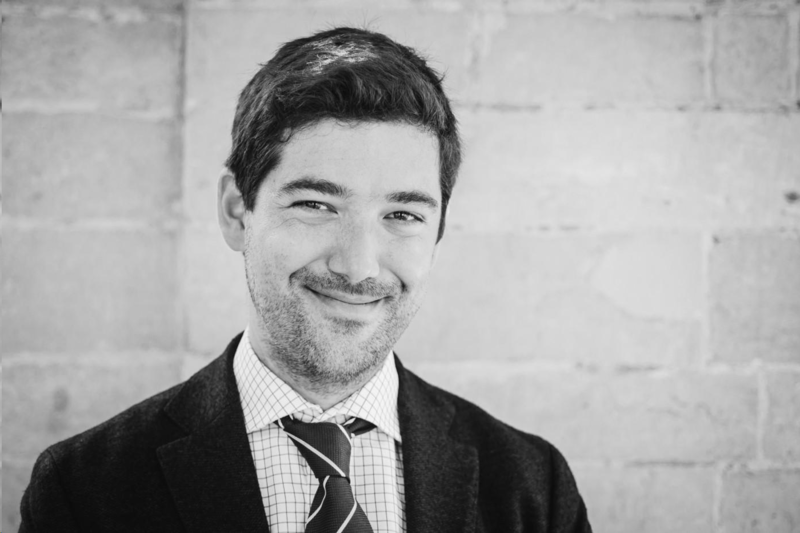 Sotiris Raptis joined ESPO in 2016 as senior policy advisor for environment and safety. He is also the coordinator of the EcoPorts network at ESPO. Previously, Sotiris worked as shipping and aviation officer at the NGO Transport & Environment being responsible for the clean shipping campaign at IMO and EU level and as MEP policy advisor on environment, transport and legal affairs at the European Parliament. 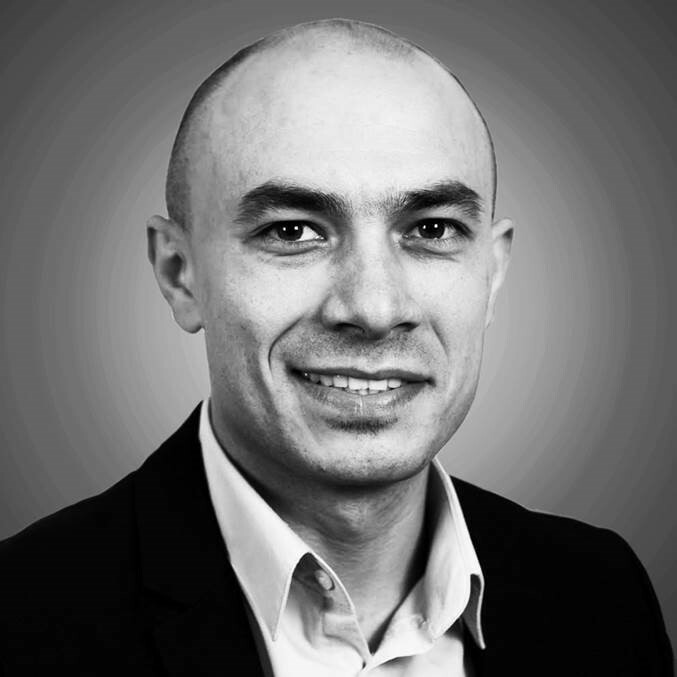 A qualified lawyer, Sotiris speaks Greek and English. He studied at the University of Thessaloniki, the University of Athens and the King’s College London Centre of European Law. Sotiris was awarded European Citizens’ Prize 2008 of the European Parliament as member of “G700” blog for promoting intergenerational justice. 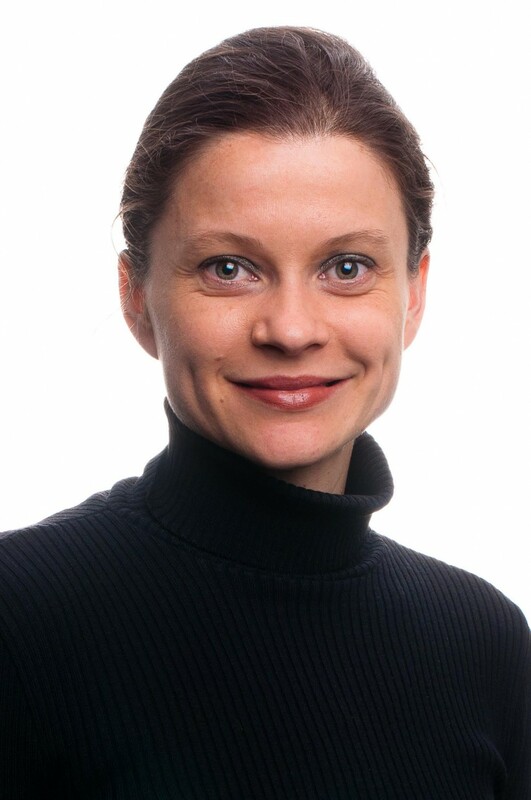 Päivi Haikkola is currently working for DIMECC, heading One Sea – Autonomous Maritime Ecosystem. Päivi has a long history of working with the management of marine related companies. She started her career in the nineties consulting and meeting marine customers around the world. Since then she has worked with various strategic development projects in the pulp & paper and telecommunications industries apart from her many assignments in the marine industries. She has spoken at numerous conferences and seminars on various topics and has participated in international maritime awards panels. Päivi has held several administrative positions in the past and worked both at shipyards and suppliers to the marine industry. Among other positions, she has previously worked as Head of R&D, Marketing Director and Administrative Manager, she has also acted as a Board Member. 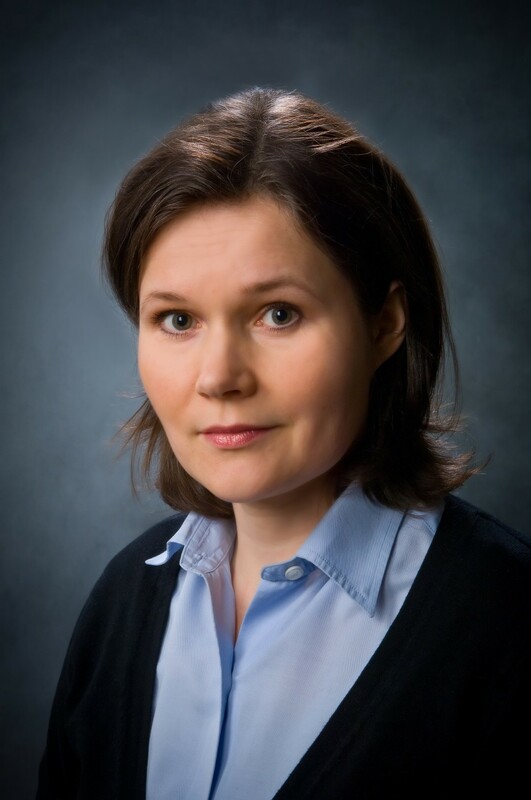 Päivi holds a Master’s Degree in Economics (Business Administration) and Naval Architecture. Dr. Steven Shladover has been researching road vehicle automation systems for 45 years, beginning with his masters and doctoral theses at M.I.T. He was the Program Manager, Mobility at the California PATH Program of the Institute of Transportation Studies of the University of California at Berkeley until his retirement in November 2017. He led PATH’s pioneering research on automated highway systems, including its participation in the National Automated Highway Systems Consortium from 1994-98, and has continued research on fully and partially automated vehicle systems since then. This work has included definition of operating concepts, modeling of automated system operations and benefits, and design, development and testing of full-scale prototype vehicle systems. His target applications have included cooperative adaptive cruise control, automated truck platoons, automated buses and fully-automated vehicles in an automated highway system. 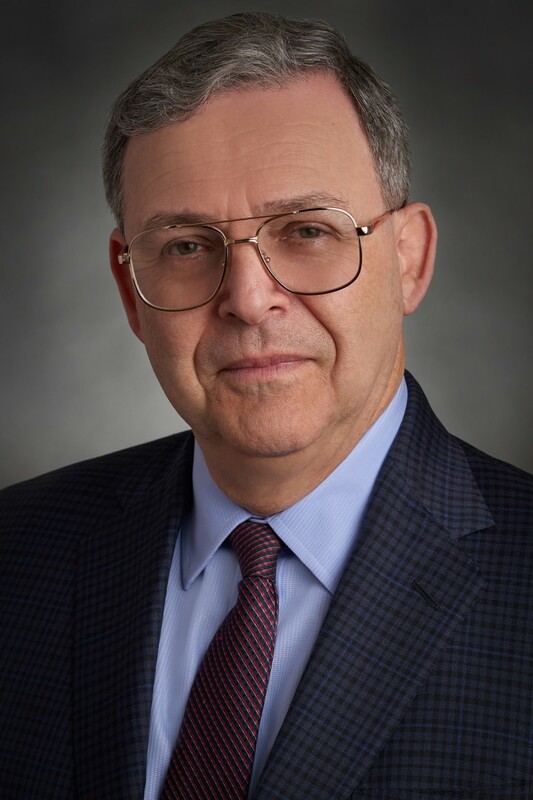 Dr. Shladover joined the PATH Program in 1989, after eleven years at Systems Control, Inc. and Systems Control Technology, Inc., where he led the company’s efforts in transportation systems engineering and computer-aided control engineering software products. He chaired the Transportation Research Board Committee on Intelligent Transportation Systems from 2004-2010, and currently chairs the TRB Committee on Vehicle-Highway Automation. Dr. Shladover leads the U.S. delegation to ISO/TC204/WG14, which is developing international standards for “vehicle-roadway warning and control systems”. 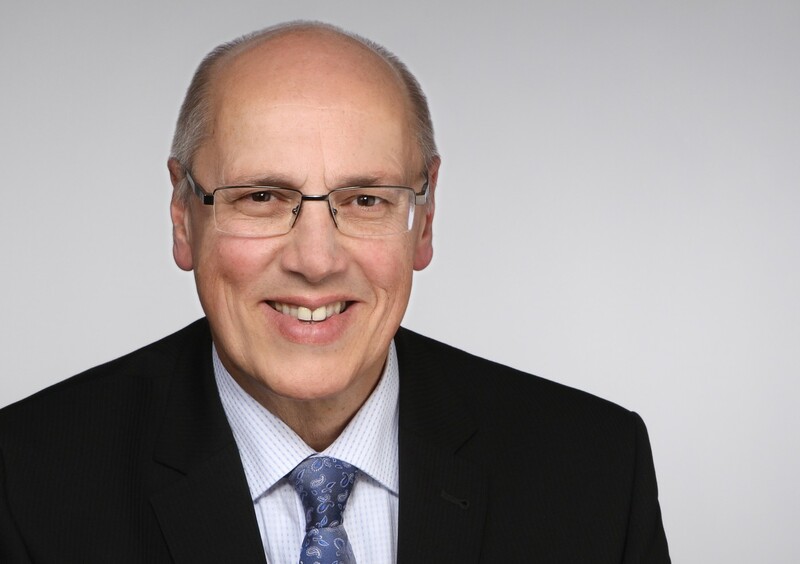 Prof. Kurt Bodewig, former Federal Minister of Transport, Infrastructure and Housing of Germany, is the European Coordinator of the Motorways of the Sea since September 2018. Before that, he was the European Coordinator of the Baltic-Adriatic TEN-T Corridor. He is also Professor for Transport Policy and Infrastructure at the University of Applied Sciences Osnabrück (DE) and Guest Professor for Transport Policy, Infrastructure and Logistics at the Hefei University in China. Moreover, he holds positions as President of the Baltic Sea Forum e.V. and as President of the German Road Safety Association. 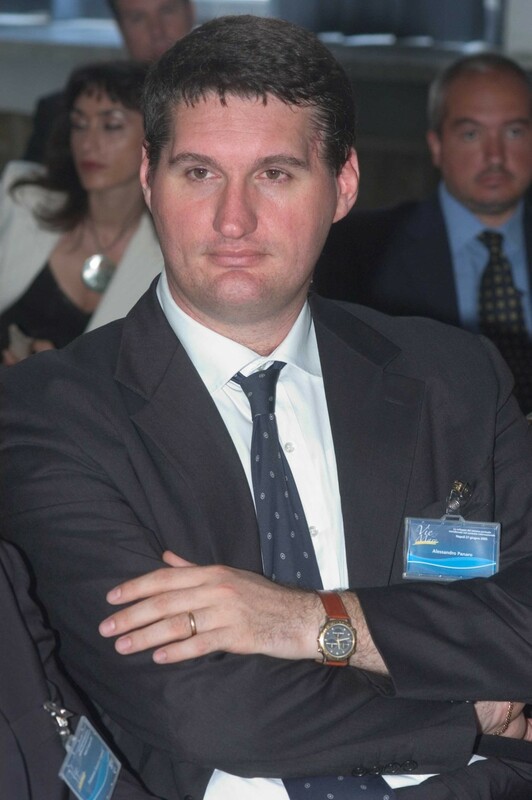 Pino Musolino, President of the North Adriatic Sea Port Authority, was born in Venice in 1978. He graduated in 2006 in Law at the University of Bologna and completed an LLM in "International Commercial and Maritime Law" at the University of Wales, Swansea, in 2010. 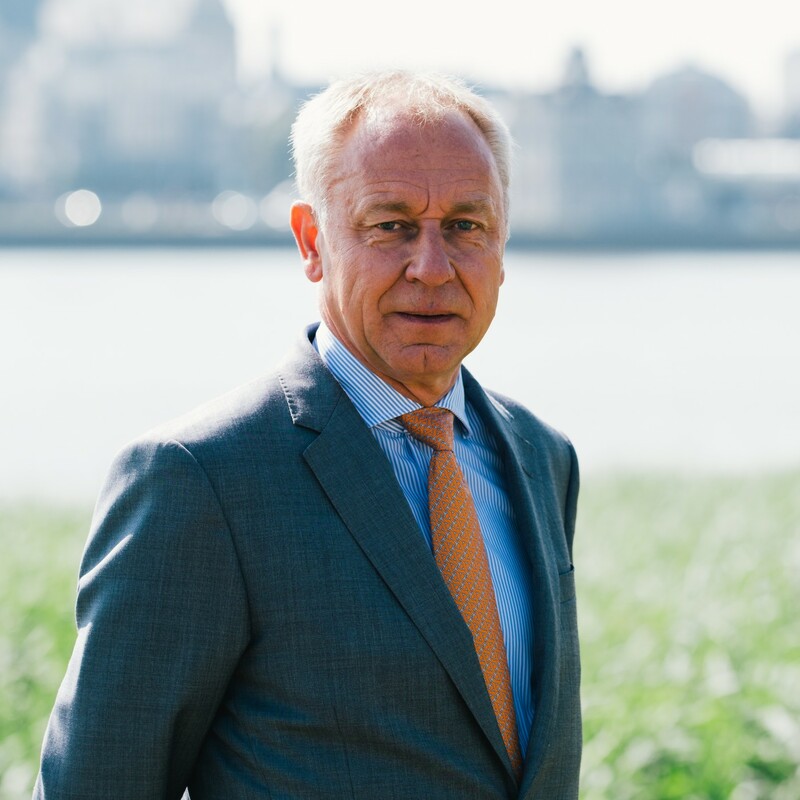 From April 2018 he is an affiliated member of the Erasmus China Business Centre of the Rotterdam School of Management - Erasmus University. From 2017 he is a board member of AIVP (Worldwide Network of Port Cities), the only international organisation that, for 30 years, has been bringing together all the public and private development stakeholders in port cities. Until March 2017, he worked as Corporate Insurance Risk Manager for the Middle East area at Hapag-Lloyd, based in Singapore, with the tasks of managing, coordinating and controlling all cargo and P&I claims, and coordinating the loss prevention management of the area. From 2012 to 2016 he worked as Senior Claims Manager and Average Adjuster at Atlantis International Services NV, in Antwerp, in charge of providing legal advice and counsel on international transport claims, with a particular emphasis on cargo claims, P&I claims, H&M claims and GA and Salvage casualties. Between 2011 and 2012 he worked as Sales and Contracts Manager at Mechel Service Belgium BVBA in Antwerp, a multinational leading in the production and sale of steel and ore materials. Here he dealt with the development and expansion of the Spanish, Portuguese and Scandinavian markets. He was also responsible for planning and supervising sales, organizing the logistic chain and providing a full customer-oriented service. Rob has specialised in the logistics and industrial market throughout his 29 year career at Cushman & Wakefield. This has ranged between advising on power station sites for the privatisation of the electricity industry to advising on the master planning for major European logistics parks, the purchase of $1 billion multinational logistic portfolios and most recently advice to major occupiers within the sector. This has included leading major accounts and teams for the most recognised companies within the logistics industry. Rob typically reports into the Global Heads of Real Estate, Procurement and Finance. He advises on a wide range of real estate matters including transactions, portfolio strategy, cost saving initiatives, consolidation opportunities, capital maximisation and growth strategies for expansion. 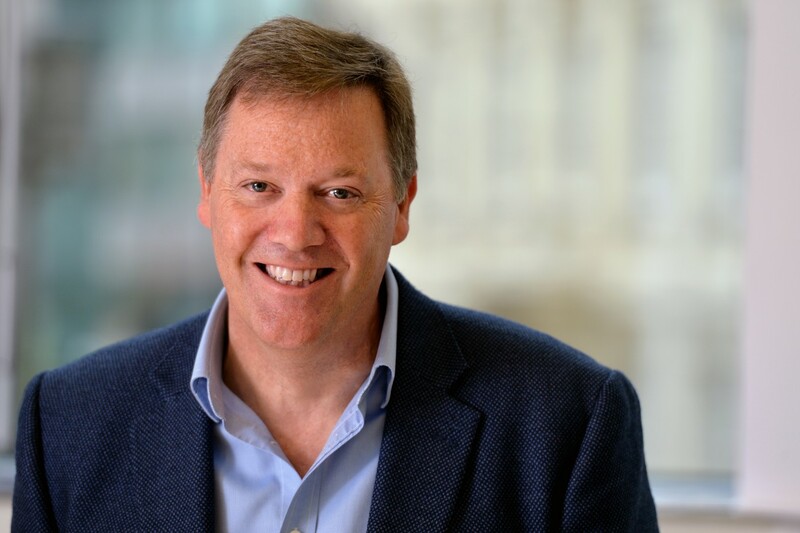 Rob currently leads Cushman & Wakefield’s Logistics and Industrial Services platform in EMEA, is on the C&W EMEA Executive Leadership Team and is an active member of IAMC, CoreNet and SIOR. 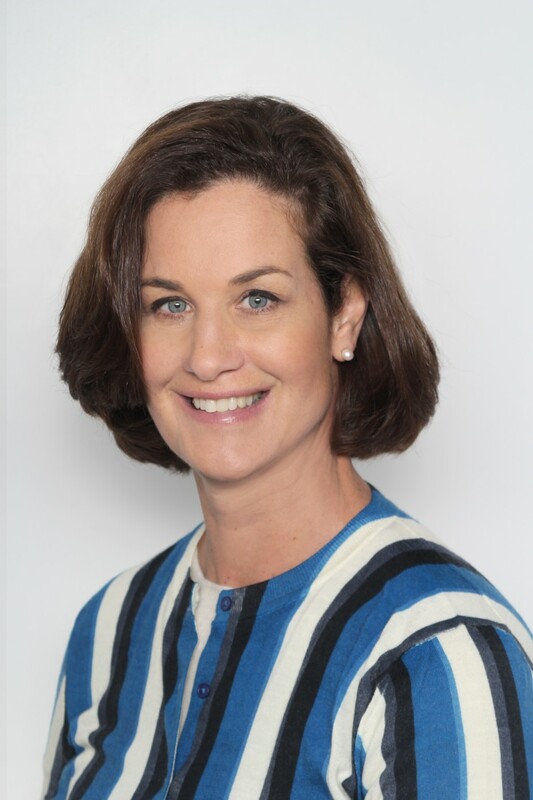 Lisa Graham is currently EMEA head of Logistics & Industrial Research at Cushman & Wakefield. Her research and publications have focused on Europe’s logistics property sector since 2003 when she joined ProLogis to head up their European research. Prior roles in Europe include a financial analyst at Lazard Capital Markets and a consultant for Property & Portfolio Research. In the US, Ms. Graham was a financial analyst at Salomon Brothers in New York and a research analyst at former JMB Realty (currently Urban REIT). Ms. Graham has a BA from University of Pennsylvania and a MS from the University of Wisconsin’s Real Estate program. 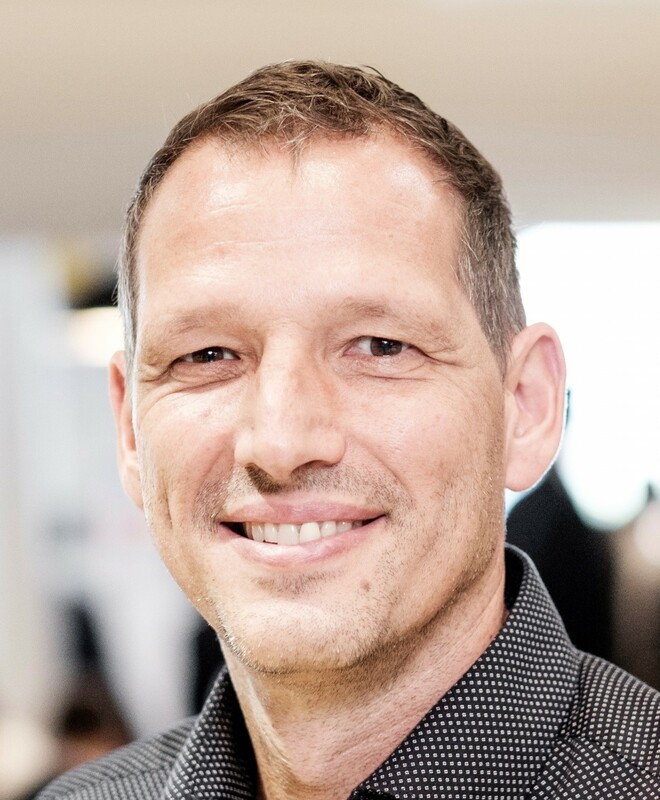 Markus Kückelhaus is heading the global research and innovation activities of Deutsche Post DHL and is in charge of the DHL flagship Innovation Center near Bonn. He joined DHL in 2012 as Director Trend Research monitoring and leveraging trends with his team that will impact the logistics industry in the future. Previously he worked as a free-lance consultant for DHL, supporting the development of a group wide innovation system and implementing strategies and business models for innovation initiatives. His career history also includes positions as Head of Controlling for the biggest German DIY retailer OBI, Principal at CTcon Management Consulting and lecturer at the WHU Graduate School of Management in Koblenz as well as the Victoria-University of Wellington. He studied Economics at the University of Bonn/University of Wisconsin and accomplished his PhD at the WHU Graduate School of Management in Koblenz. Richard Ballantyne joined the Association in 2007 and became the Chief Executive and Director of the BPA in 2016. He represents the BPA to a number of industry bodies and is a member of a wide range of government stakeholder groups and European Committees. Richard has in depth expertise in ports, transport and environment policy matters as well as a wide experience of the legislative process around the UK. He sits on the European Sea Ports Organisation’s Executive Committee, the Maritime UK Board and is also a Director of Port Skills and Safety. Before joining the BPA he spent five years at a Westminster political consultancy and was previously an MP’s researcher in the House of Commons. Faig holds a PhD in European energy policy, and has a specialised technical training in shipping and energy market regulation. He has authored several reports, opinion pieces and a peer-reviewed article on EU energy policy, and regulating shipping and aviation industry. 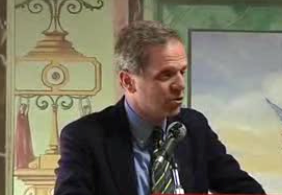 After a brief career in natural gas industry, Faig joined in 2016 Transport & Environment, a Brussels-based environmental NGO advocating for sustainable transport policies in the EU and internationally. Faig’s main areas of expertise are zero emission maritime technologies/fuels, air pollution and GHG emissions from maritime sector, new ship design standards, regulatory opportunities, as well as environmental challenges surrounding Arctic shipping. 69, Graduated at Genoa University in Mechanical Engineering, I initially worked in Shipbuilding (FINCANTIERI), in Ship-management than in Port Planning and Engineering. I joined FIAT Group for developing the new business of port handling and related logistics through the newly established holding Sinport. I contributed to the development of the new Voltri/Genoa port, as well as of other newcos and logistic projects. After the take-over by PSA Group of Singapore, I hold several positions in Group’s companies as VTE, VECON, PDE, then I was appointed Executive Director and General Manager of Sinport and finally Senior Advisor for PSA Region Mediterranean Europe, Middle East and South Asia. Presently, I’m Board Member of FEPORT (European Terminal Operators Association), Vice President of CONFETRA (Italian Logistic and Transport Confederation), Past President of ASSITERMINAL (Italian Terminal Operators Association) with some delegate matters. I hold a few professional positions such as N.E. Director in GIP, financial holding with different interests in Port Business. Sotirios (Sotiris) Theofanis is currently the Chairman of the BoD and Chief Executive Officer of the privatized Thessaloniki Port Authority SA and Member of the BoD of the South Europe Gateway Thessaloniki (SEGT) Ltd.
An internationally acknowledged expert, academic and manager in the fields of freight transportation; logistics; and ports. Former Expert; Head of Unit; and acting Director for Ports with the Ministry of Merchant Marine, Greece (1985-1999). Former Chief Executive Officer of Thessaloniki Port Authority SA, Greece (1999-2002) and Chairman of the BoD and Chief Executive Officer (CEO) of Piraeus Port Authority SA, Greece (2002-2004), he led the efforts for the restructuring and listing of the two port companies in the Athens Stock Exchange. Former Director, Freight and Maritime Program (FMP) and Director of Strategic Planning (2006-2012) at the Center for Advanced Infrastructure and Transportation (CAIT), Rutgers, The State University of New Jersey, USA, he is currently Fellow and Visiting Professor with the same University. He is also Senior Visiting Lecturer with Galilee International Management Institute (GIMI), Israel. Maritime Transport Economist; Head of Maritime Transport and Logistic Department at SRM (Economic Center of Research related to Intesa Sanpaolo Banking Group). 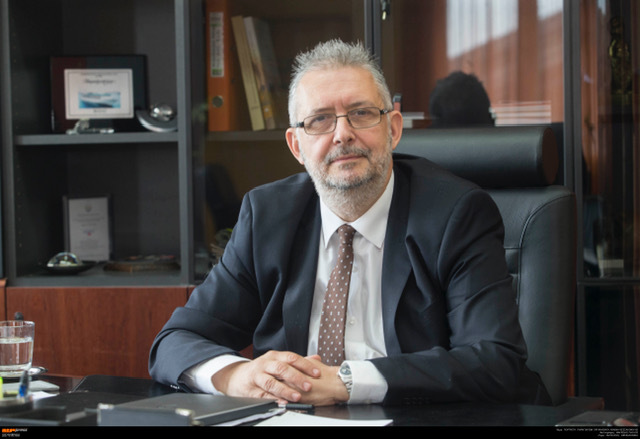 He has conducted a lot of research about maritime economy, ports, shipping, logistic platforms, intermodal connections, infrastructure, Special Economic Zones in collaboration with research centers and international universities like Rotterdam, Shanghai, Seoul, Bremen, Antwerp and Hamburg. Speaker at numerous scientific conferences, meetings and seminars nationally and internationally. He has authored scientific essays and articles published in scientific and technical journals. Member of the International Propeller Club and of GEI “Gruppo Economisti di Impresa”. Member of Scientific Committee of Soslog (Association for Sustainable Logistics) and IRGIT (Center of Research related to University of Naples “Federico II). 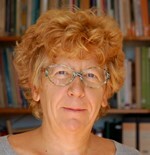 Silvia Maffii. Co-founder and Managing Director of the Italian consultancy TRT Trasporti e Territorio srl, she is a senior expert with some 30 years’ experience on applied transport economics and planning, including multi-modal transport planning, investment studies, financial and economic analysis, national and regional transport plans and policy studies. Her expertise lies in feasibility studies, financial and cost benefit analysis of multi-sectoral transport projects, where she combines a thorough professional and research experience in modelling at urban and regional scale, and in the assessment of land-use, socio-economic and environmental impacts of transport investment and policies. In all these areas she has published and co-authored works extensively. She is regularly involved as a key expert in main projects funded by the EU Commission to enhance abilities to appraise long-term, dynamic impacts of the European Union’s transport strategies on regional and national economies and to develop methods and tools for advanced cost benefit analysis of urban and transport policies. As part of many international projects, she worked as lead expert for transport strategies and planning for the development of the Jordan National Transport Strategy, and she worked as Team Leader of the IDEA (Transport Interoperability and Dialogue between the EU, Caucasus and Asia) funded by the DG NEAR. Iana Dreyer is the founder and chief editor of Borderlex.eu, the leading European publication on trade policy. Before founding her publishing activity in London, Iana worked in think tanks, writing on trade and energy policy in Brussels and Paris. She has worked with the European Centre for International Political Economy, the Institute Montaigne and the EU Institute for Security Studies. Iana has also worked for the Financial Times group and has trained in journalism. Iana is a graduate from the School London School of Economics and Sciences Po in Paris. Iana currently spends most of her time in Brussels, Paris and London. 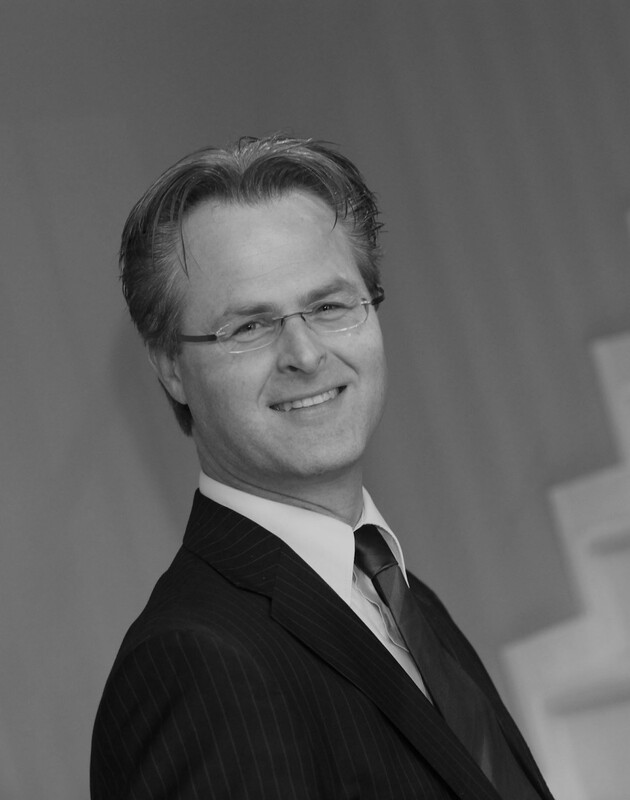 Dr. Theo Notteboom is full professor in port and maritime economics and management. His work is widely cited. He is a regular speaker at international conferences and a rapporteur/expert to leading organizations in the field. He received 11 International awards for his scholarly work. He is Director and Research Professor at Centre for Eurasian Maritime and Inland Logistics (cemil) of China Institute of FTZ Supply Chain of Shanghai Maritime University in China. He is Chair Professor 'North Sea Port' at Ghent University in Belgium. He also is part-time Professor at University of Antwerp and the Antwerp Maritime Academy in Belgium. He is cofounder and codirector of porteconomics.eu, an online platform on port studies. He is past President (2010-2014) and Council Member of International Association of Maritime Economists (IAME). He is editor, associate editor or editorial board member of a dozen academic journals in the area of maritime economics and logistics. He previously held a full-time position as High-end Foreign Expert / Professor at Dalian Maritime University in China (2014-2016) and an MPA visiting professorship in port management at Nanyang Technological University (NTU) in Singapore. Between October 2006 and October 2014 he was President of ITMMA of the University of Antwerp. Between 2009 and 2014 he was Chairman of the Board of Directors of Belgian Institute of Transport Organizers (BITO), an institute of the Belgian Federal Government. With over three decades of professional and academic experience, Dr. Cleopatra Doumbia-Henry, an international lawyer, is a global leader on maritime law, labour standards and labour law, and law of international organizations. She is a distinguished academic in the field of international law and an international advocate for sustainability and innovation. Appointed by the Secretary-General of the International Maritime Organization (IMO), Dr. Doumbia-Henry became the seventh President and the first woman President from a developing country of the World Maritime University (WMU), a university established within the framework of the IMO. As the Chief Executive Officer of WMU, she oversees and directs the operations and administration of the University, positioning it as the global centre of excellence in maritime and ocean education, research and capacity building, taking on board the UNSDGs. 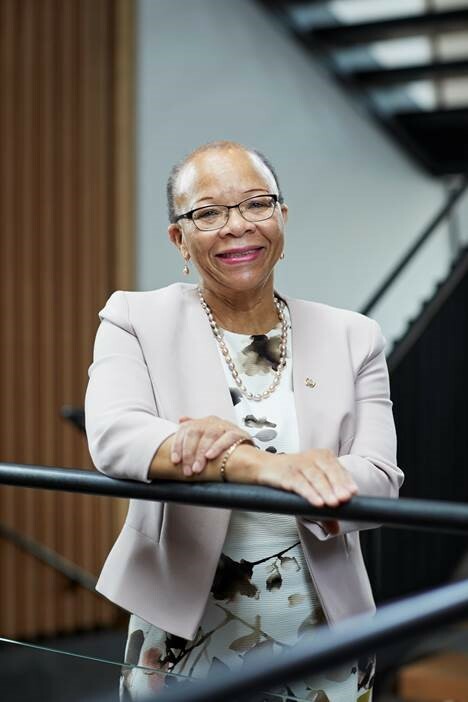 Prior to joining WMU, Dr. Doumbia-Henry held various senior positions at the International Labour Organization (ILO), another specialized agency of the United Nations. During her tenure as Director of the International Labour Standards Department (first woman Director since the establishment of the ILO in 1919), Dr. Doumbia-Henry was responsible for the ILO’s international labour standards policy and for the ILO’s supervisory bodies and procedures governing international labour standards. She led the department to effectively assist the ILO member States on the implementation of their international obligations (more than 400 Conventions and Recommendations) including through technical assistance, advice, research and capacity building programmes. She spearheaded the development of the innovative and historic ILO Maritime Labour Convention (MLC), 2006 which consolidated 68 international labour instruments. The MLC, 2006 as amended has been ratified to date by 91 member States to date covering more than 80 per cent of the world tonnage of ships. Dr. Doumbia-Henry also led the ILO’s participation in a number of IMO/ILO interagency collaborations on several issues of common interest, including the Joint IMO/ILO Ad Hoc Expert Working Groups on Fair Treatment of Seafarers and on Liability and Compensation regarding Claims for Death, Personal Injury and Abandonment of Seafarers. Dr. Doumbia-Henry began her career at the University of the West Indies, Barbados, as lecturer in law and later worked at the Iran-US Claims Tribunal in The Hague, the Netherlands and the World Bank. Dr. Doumbia-Henry has dual Dominican and Swiss nationality. Her qualifications include Barrister-at-Law and Solicitor, a PhD and LLM from the University of Geneva, and a LLM and LLB from the University of West Indies. She has published extensively on a wide range of international law subjects. Dr. Doumbia-Henry is fluent in English, French and Spanish. She studied Law (University of Namur and KULeuven) and European Law (UCL Louvain). Before joining EFIP, she worked in EU Public Affairs for almost 20 years. After a short period at the European Commission (DG Agriculture), she worked in an EU Public Affairs consultancy. 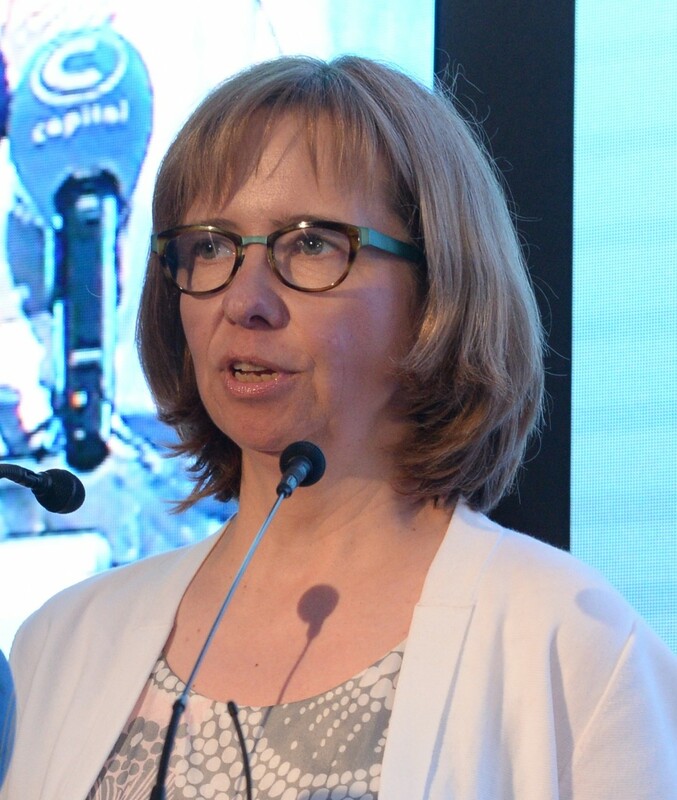 In 1994 she started working in the European Parliament, as a political assistant and between 1999 and 2009 she was the political assistant of Dirk Sterckx, where she was mainly active in transport and port-related fields. She is co-author of the handbook “Zo Werkt Europa” (1st edition 2007, 2nd edition 2010, 3rd edition 2015). Wim Van de Camp was born in 1953, in the city of Oss in the South of the Netherlands. His parents had a company in the agrarian sector. After High School Wim van de Camp studied Tropical Agriculture at the State Agricultural College in Deventer (diploma 1976) and Law at the Catholic University of Nijmegen (master degree 1982). After having completed his studies in Law, he worked as legal policy officer for the VNG (Association of Netherlands Municipalities) (1982 -1986). Hereafter Wim van de Camp entered politics as elected member of the Second Chamber of the Dutch Parliament (House of Representatives / Lower House) for the Dutch Christian Democratic Party (CDA) (1986 - 2009). As a member of the Dutch Parliament he focused on the subjects of Education, Culture & Science and Justice & Internal Affairs. 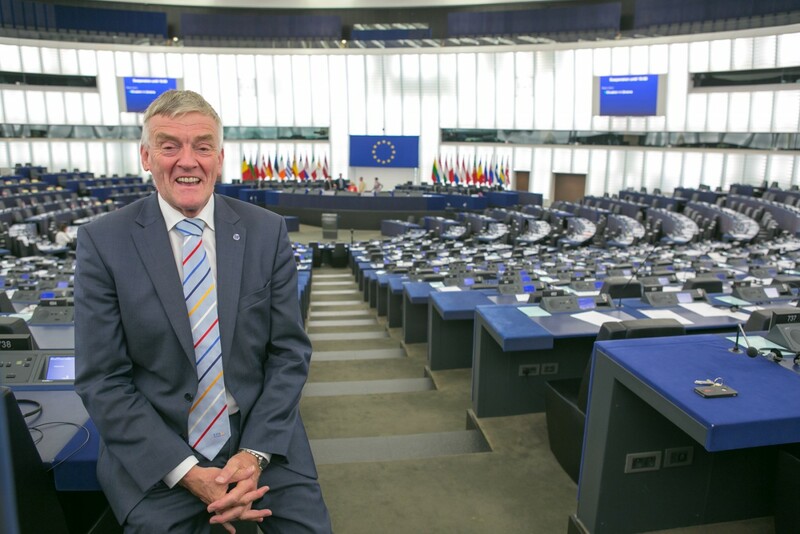 In 2014 Wim van de Camp was re-elected for a second term as member of the European Parliament (he was first elected in 2009). His Dutch political party (CDA) is part of the European People's Party (EPP), the largest fraction in the Parliament. In this second term Wim van de Camp is Coordinator of the Transport committee, substitute member of the committee on International Trade and the committee on Budget Control and member of the China delegation. Apart from his political work Wim van de Camp has a great passion for motorbikes and reading books. Wim van de Camp was rapporteur on the Mid-term review of the Transport White Paper and is the current Rapporteur on the PSO file of the Fourth Railway Package. Director for Waterborne Transport in Directorate-General for Mobility and Transport within the European Commission, since 16/10/2016. Her Directorate is responsible for the development and follow-up of the implementation of policies in support of logistics, maritime transport, ports, and inland navigation. After joining the European Commission in 2006, to work in the Directorate-General for Internal Market and Services, she was appointed as the Head of Unit for Clean Transport, Urban Transport and Intelligent Transport Systems - between May 2009 and June 2011. 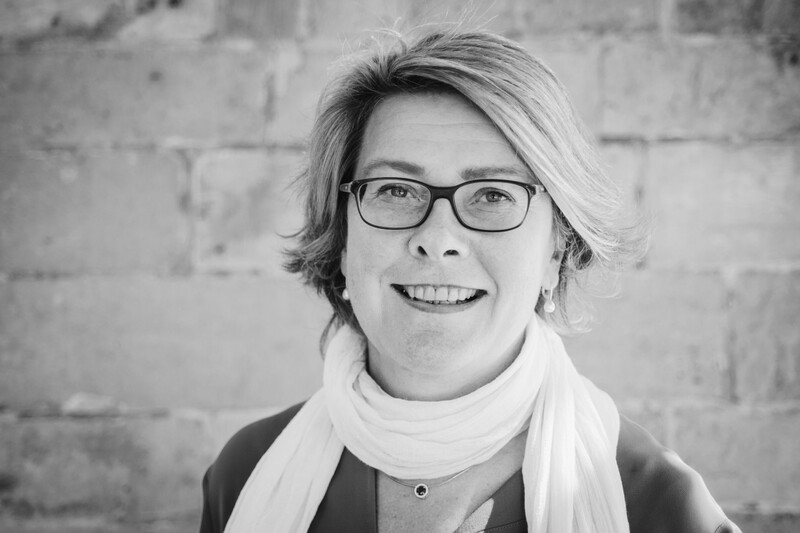 In July 2011 she became Head of Unit dealing with Maritime Transport policy and Logistics, until taking up the post of Director for Sustainable and Innovative Mobility in DG MOVE on 1 May 2014 to 15 October 2016. Represent, worldwide and in all aspect, the members of the association. As part of the SEA-Invest group, SEA-Tankers provides maritime transport for petroleum products. SEA-Tankers is a merger of 2 French ship owning companies and has a turnover of 150 mio euro. Realised the merger on operational level. The Belgian pilotage provides pilotage and related services for the Belgian ports. Per year more than 100 000 sea going ships are piloted in this area. The pilotage has 500 employees and a turnover of 75 mio euro. Negotiate extensively with trade unions and pilot associations. Ahlers Maritime Services is a maritime service provider with a network of own offices in Europe, Asia and the CIS / Baltic. Negotiate with Belgian Trade Unions and ITF. 18 years at sea whereof 10 years as Captain on board of several types of ships: gas carriers, chemical tankers, container ships, general cargo vessels, bulk carriers and a floating fish farm. Dr Paweł Wojciechowski is the European Coordinator of the Rhine-Alpine Core Network Corridor. He was formerly Minister of Finance of the Republic of Poland. 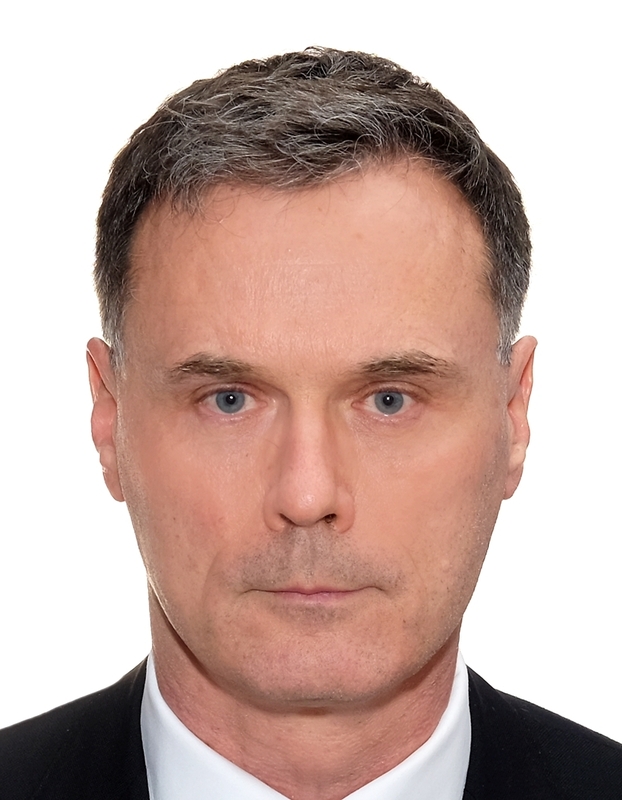 Dr Wojciechowski has an extensive experience working in government, business and academia. From 1995 to 2005, he worked as CEO of several financial corporations in Poland, including PTE Allianz Polska S.A. for six years. In 2006 Mr. Wojciechowski was entrusted the position of Minister of Finance, and since then he held several high level governmental positions. He headed the Polish Information and Foreign Investment Agency, was a deputy minister at the Ministry of Foreign Affairs and Permanent Representative of Poland to the OECD. 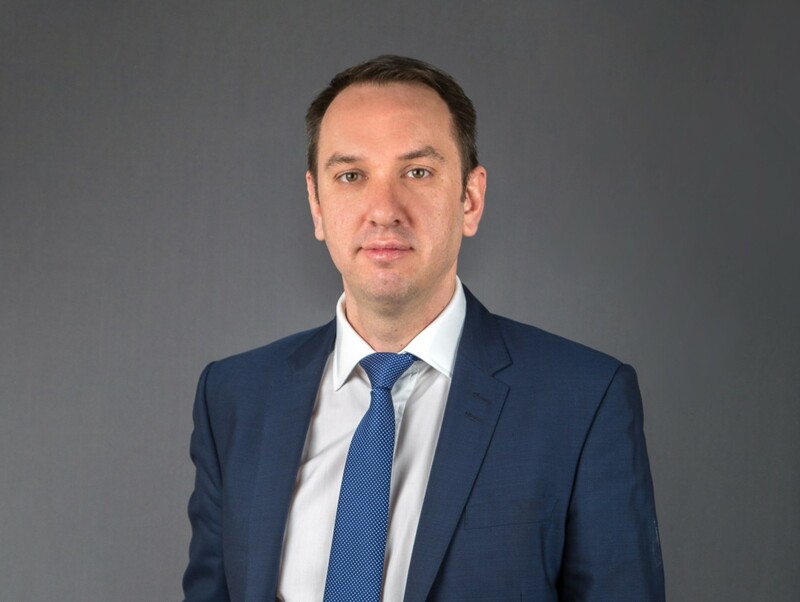 Since November 2014 Dr. Wojciechowski works as Chief Economist of the Polish Social Insurance Institution (ZUS). For its 2019 Annual Conference, ESPO is taking you to Livorno. You will find below some practical information that might be useful to organise your stay in Livorno. The conference fee is 550 € outside the scope of V.A.T. as per Art.4 paragraph 4 DPR 622/72 (Italian VAT principle law). You can find practical information about the Conference below or in this document. The 2019 Annual ESPO Conference is taking place at the Goldoni Theatre. 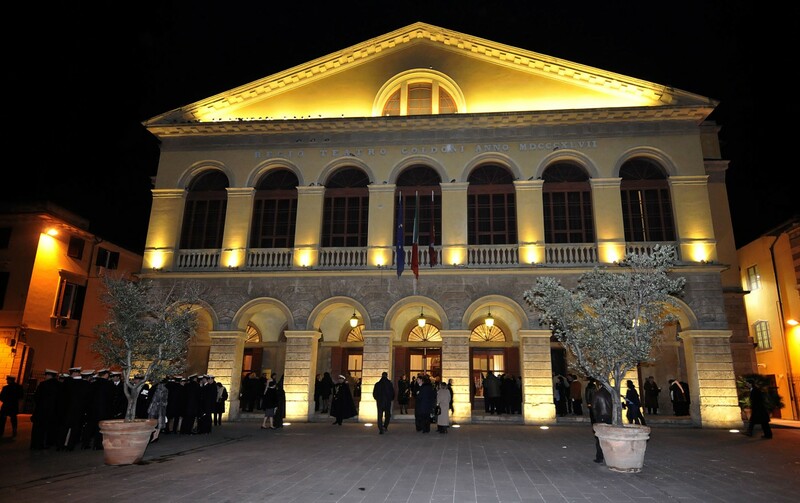 Built in the 19th century, the Goldoni Theatre is Livorno's best and most loved theatre. It was designed and built with a glass roof in an effort to capture the essence of both night and day, as desired by the architects who conceptualised it. The building has recently been restored. More than just an architectural landmark and a musical venue, the Theatre also stands out as museum dedicated to the great Livornese composer Pietro Mascagni (Livorno, 1863 - Rome, 1945). A bit off the beaten track, the Goldoni Theater stands south of the city center, less than 300 meters after crossing the Fosso Reale. A shuttle will bring you from a meeting point near your hotel to Piazza Cavour, which is at 3 minute walk from the conference venue. Livorno is the main port of the Port Network Authority of the North Tyrrhenian Sea. The ports of the Northern Tyrrhenian Sea – Livorno, Piombino, Portoferraio, Rio Marina, Cavo and Capraia Island – make one of the largest systems of Italian ports for the total traffic handled with over 42 million tonnes of goods and 9 million passengers every year. This particular network of six ports comprising the Port Network Authority of the North Tyrrhenian Sea, established after the passing of Legal Decree n. 169 of 4th August 2016, accounts for over 14% of various types of Italian Port traffic (Ro-Ro, Containers and General Cargo) and holds the national record for tonnage of vehicle traffic and number of commercial vehicles handled. It is the leading node not only for vehicle traffic but also for forestry goods and new cars. The Port Network Authority of the North Tyrrhenian Sea is located in the Tyrrhenian and Ligurian seas (also known as the North Tyrrhenian range) and is the most important Italian node for traffic handled as well as a natural logistics node for Tuscany. The ports’ proximity to the rich markets of central and northern Italy is their unquestionable strength, while being on the Scandinavian-Mediterranean TEN-T motorway guarantees prime trans-European and international connections. As a result, the port system has a twofold axis, one reaching into core European inland markets and, through north-eastern Italy, into new Central-European production areas; while the other is more Euro-Mediterranean reaching the major islands and the countries on the sea’s southern shores. The 2019 Annual ESPO Conference is taking place in Livorno, Tuscany, Italy. The easiest way to reach Livorno would be to fly to Pisa or to Firenze and then take a transfer from the airport to Livorno. From Pisa: take a taxi (30 minutes’ drive) or a train connection from Pisa Centrale to Livorno Centrale (15 minutes). Please note that there is no direct train connection from Pisa airport. From Firenze: take a taxi (1h10 drive) or a train connection from Firenze Centrale to Livorno Centrale (1h15 ride). Please note that there is no direct train connection from Firenze airport to Livorno, you should use the shuttle service (about 20 minutes) between the airport terminal and the centre of Firenze (http://www.aeroporto.firenze.it/en/the-passengers/transport/bus.html). As the recommended hotels are spread around the city, bus transfers will be organized from some hotels to the conference venue (Goldoni Theatre) and to the dinner venue (Livorno’s Old Fortress). Participants are kindly requested to have a look at this document for an overview of the bus transfers. More details about the timings will be provided closer to the event. We are glad to offer our guests special prices for hotel accommodation. Please note that the conference registration does not automatically imply hotel reservation. To book a room, please contact the hotel of your choice directly. Quote ESPO2019 to get the negotiated price. The prices include breakfast, unless otherwise specified in the notes. View the hotel’s list here. View the map of hotels here. The Port Network Authority of the North Tyrrhenian Sea has kindly organized a port visit on Friday afternoon, just after the conference. Delegates will have the choice to either go back to their hotel or to join the Port Visit by bus. Please indicate in the registration form if you would be interested in joining either tours or only one. The conference fee is 550 € outside the scope of V.A.T. as per Art.4 paragraph 4 DPR 622/72 (Italian VAT principle law). By bank transfer: the bank details will be provided at the end of the registration and in the confirmation email. By credit/debit card: you will need to use the PAGO system. If you need help on how PAGO works, you can click here for a step-by-step document guiding you through the process. Please note that there might be an extra fee applying when paying by credit/debit card. Click here to register to the conference. If you need an invoice, please contact espo2019@aracongressi.com. Questions related to your hotel booking: contact the hotel directly.